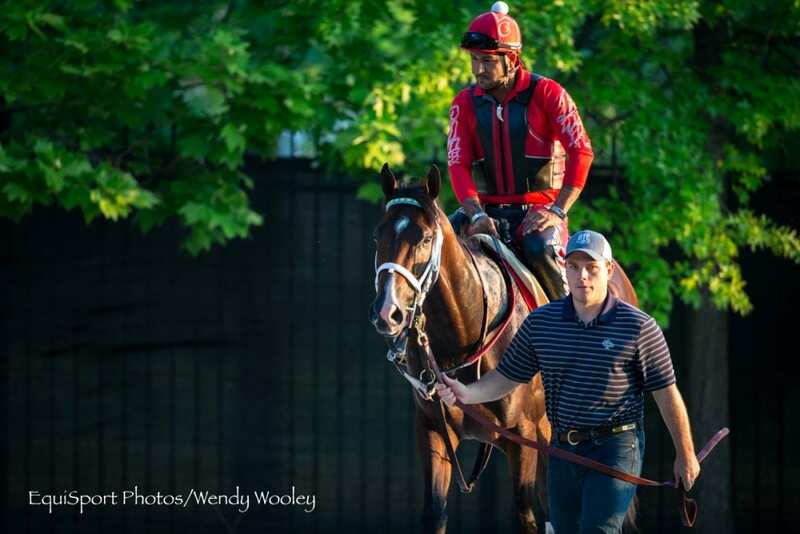 Champion Classic Empire remains on course for the G1 Haskell Invitational at Monmouth Park July 30 after breezing at Churchill Downs Monday morning. The Daily Racing Form reports that clockers at Churchill Downs had not assigned an official time for the colt, mostly likely because of the 'unorthodox' nature of the breeze. Trainer Mark Casse told the Form that it was supposed to be a five-furlong work, but it wound up being closer to seven furlongs after Classic Empire “ran off” and began the breeze prematurely. Norm Casse timed the colt going five furlongs to the top of the stretch in under 1:02; he was clocked going seven furlongs in around 1:28. “We can just live in his world,” Mark Casse told the Form. The breeze was the first for Classic Empire since he was forced to miss the Belmont Stakes because of a foot abscess. Because the colt had shown some discomfort in the foot, he has been equipped with Z-Bar shoes. Classic Empire is scheduled to ship to Saratoga later on Monday and will continue to train there for the Haskell. This entry was posted in Breeders' Cup, NL List and tagged classic empire, Debby and John Oxley, Horse Racing, Mark Casse, norm casse, thoroughbred, william hill haskell invitational by Paulick Report Staff. Bookmark the permalink.